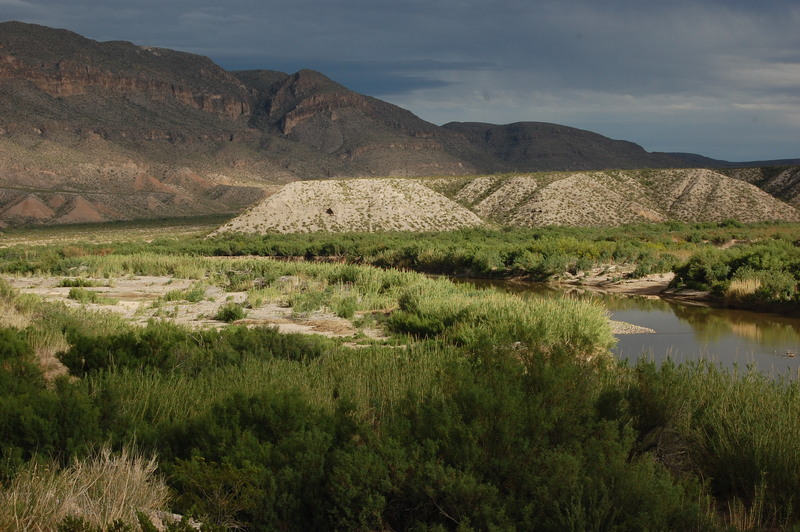 The town Boquillas Del Carmen is, or more appropriately, was a little Mexican village lying across the Rio Grande from Big Bend National Park. During the 1990’s the town had around 300 residents whose primary means of income came from our side of the border. Back then, national park tourists could take a ferry (rowboat) across the river to get drinks, eat enchiladas, rent donkeys and shop for crafts. This provided visitors a jolly time in old Mexico and provided the villagers with a livelihood. But then some assholes decided to highjack four planes on the east coast. Shortly after, all ‘soft’ border crossings into Mexico were closed indefinitely. This meant instead of paying a couple bucks to cross the river via rowboat, you could now be fined up to $1,000 for visiting Boquillas. This devastated the little village. Since 2002, the town’s population has dwindled to less than 100 people. With no viable economic options, there are only two realistic ways to make an income: grow marijuana or sell ‘illegal’ souvenirs, like the ones I saw at my feet, to park visitors. After walking back to put a pan on the stove, I stood up, tipped beer into my mouth and gazed across the river. 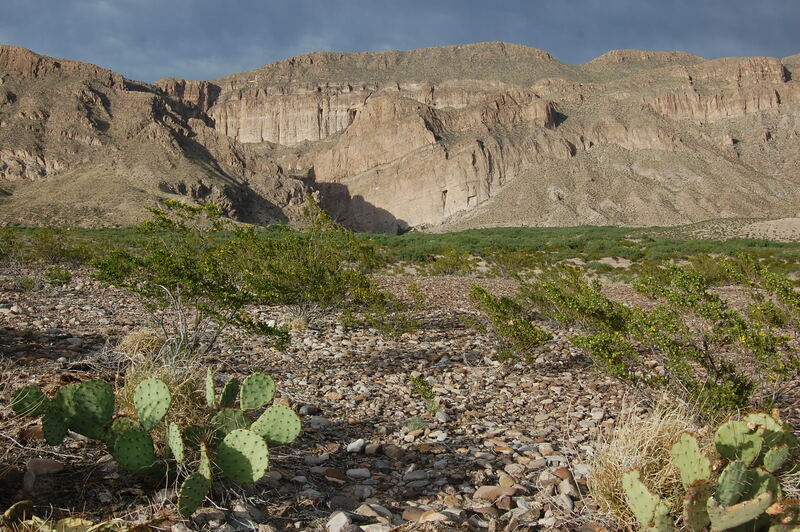 A mile in the distance, I saw what once was Boquillas – now just a dozen desolate buildings lining a flat ridge above a muddy river. A voice broke the silence. ‘Hola mi amigo!’ I looked down on the opposite bank of the river and saw a man on horseback. “Hola” I yelled back with some hesitation. “Would you like a walking stick my friend?” He asked. “Umm I already have a walking stick, thank you though.” I returned to fidgeting with the grill, but I knew the man was still watching. I took another drink of beer and then heard, “Friend! Do you have a cervesa for me?” I again called back, “Sorry, this was the last one.” Things were getting awkward now. I threw on the hot dogs and turned up the heat. He said something again, but I couldn’t hear over the burner. I moved the dogs around on the pan for a minute before I sighed and stood up again. “Would you like a hot dog?” I shouted. He didn’t understand. “Ugh a hot dog… perro caliente” I tried to clarify. “For me?” the man said back. “Yes” I replied nodding my head. 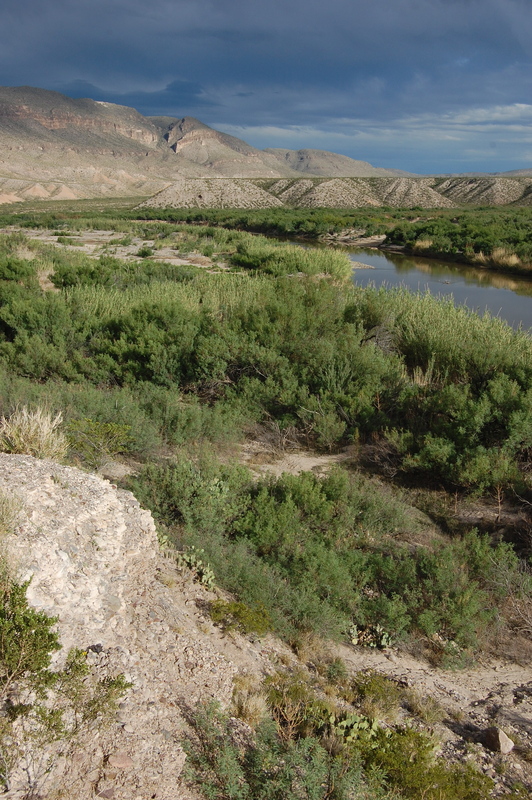 Then he gave his horse a light kick and rode through the Rio Grande into Texas. He rode up the embankment, onto the overlook, and stood before me. 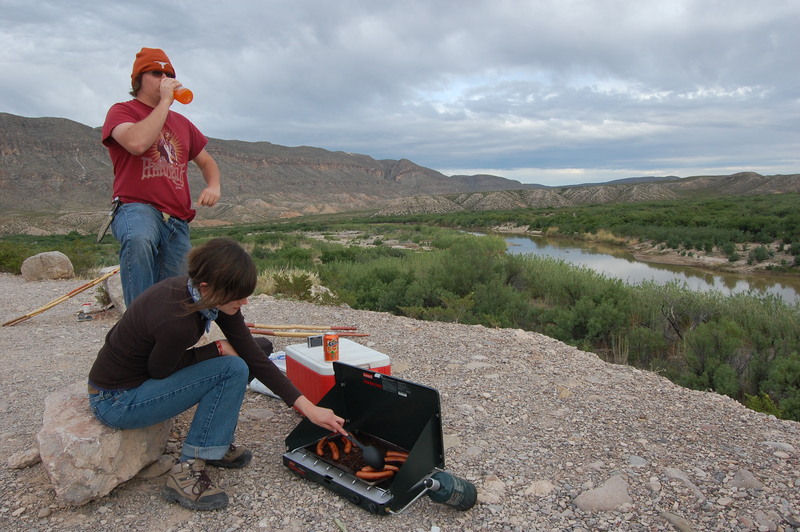 Making hot dogs at the same spot the spring before with my friend Kaela and younger brother Shane. The man looked to be in his early 30s, wearing a brown ball cap, an old cotton button up, tattered jeans and white tennis shoes with gaping holes. Below him was a decrepit saddle, below that was a skinny horse. One of his hands grasped a plastic grocery bag and the other extended in my direction. I reached out and shook it and he introduced himself as Felix. “My name’s Eric… what would you like on your hot dog” (a phrase I hope not to become accustomed to). The man indicated he wanted everything, including my red pepper flakes. I decided I liked him. We talked as we ate – about the weather, the river, my car and his kids. “I’m sorry for my English.” Felix said after a while. “No your English is pretty good, much better than my Spanish. When did you learn it?” He explained how he used to work the ferry to bring tourists across the river to Boquillas. “And what do you do now?” I asked. Felix looked around a moment and shrugged. I felt stupid for asking. After we finished the meal, he showed me the contents of his plastic bag. Inside were two cheaply made bracelets, which looked like they came from a dollar store. “These are nice, for your girlfriend,” Felix explained. I nodded convincingly. Then he pulled out the last item sunk into the bottom of the bag. 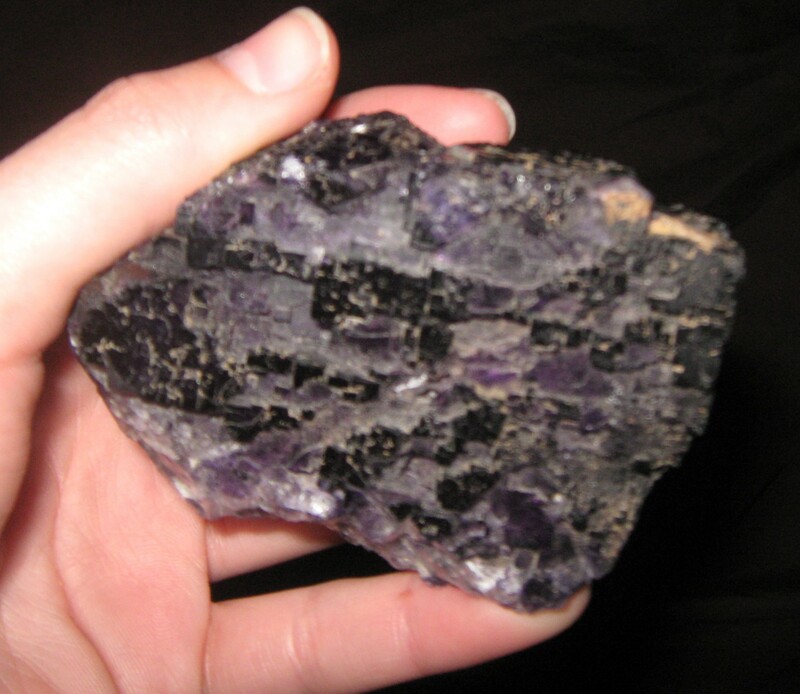 It was a large purple rock, what I believed to be amethyst* (a childhood favorite from when I collected all rocks with an unwarranted enthusiasm). Felix could tell that I liked it. “Would you like to buy this?” he asked. “I would, but I don’t have any cash on me.” I said. Felix thought for a moment. “We could make trade for something… food or clothes or something.” This I could do. I went over to my car, popped the trunk and started looking around. In the cooler I had a ton of hot dogs, way too many for my trip. So I collected fifteen of them and matching buns. Rummaging through my bag, I found two clean shirts – one said Bud Light on the front and the other had a drawing of Christ wearing sunglasses and riding a surfboard. Deciding it’s what surfer Jesus would have wanted, I gave the man the hot dogs, shirts, and a towel. Now make no mistake, I don’t think any higher of myself for giving a man a couple of measly articles of clothing and over-processed meat tubes. It really was the least I could have done. Had I been a saint I would have given him my running shoes, knife and my new long-sleeve shirt. And a saint certainly wouldn’t have lied about that last beer in the cooler. Alas, I am no saint. After Felix neatly folded the shirts and tied the bag of hot dogs to his saddle, he reached into his bag and handed me the purple rock. Even though it seemed like the only thing remotely valuable he had with him, I didn’t argue in accepting it. The man wanted to trade commodity for commodity, he didn’t want to be a beggar. I like colorful rocks anyways, so I thought it was a good deal. He thanked me repeatedly and wished me a nice night. Then Felix got back onto his horse and rode back down to the river. Daylight was all but gone now, the air grew chilly and the bright half-moon made new shadows in the desert. Exhausting my knowledge of the Spanish language, I yelled “Buenas noches” as he and his horse waded back though the Rio Grande. Over the sound of the river, I heard his words echo back. Back in Mexico, the man dismounted his horse and began the long walk towards the distant village. I watched them for a while, until they disappeared into a mesquite thicket. Then I got into my silver Mustang, adjusted the seat a little, turned on the heater, put the stick in first gear and drove away. *The rock turned out to not be Amethyst, rather fluorite, which is mined in that area of Mexico and used in steel manufacturing. Reviewed and Edited by Katie Chassaing. Also, a special thanks to Caitlin Blocker for all those hot dogs. I’m glad I don’t cheap bracelets sitting on my shelf over a cool, shiny, piece of fluorite! But, those hot dogs went to a good cause, so I might have been ok with it. I finally had a chance to check out you site. I enjoyed this, the first story I’ve read, and now plan to catch up on the rest. They just announced that they are going to open this boarder crossing up again. Probably a little too late but still it should help out a little. Just going to add, if you ever get famous… that is my hand holding the fluorite.